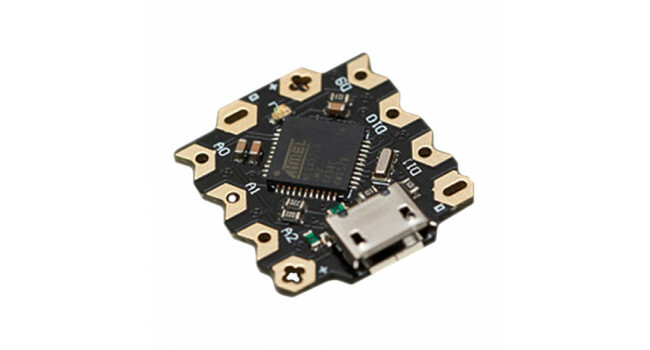 Beetle is the smallest Arduino Leonardo board. It derives its core notion from minimalism without compromising functionality. It comes with Atmel AtMega32u4 with @16MHz clock time and has expanded amounts of interfaces: 10 digital pins, 5 analog pins and 4 pwn pins. To further make it user-friendly, it is compatible with Micro USB so that direct programming and testing is no longer a headache. Select "Arduino Leonardo (tools >board > Arduino Leonardo in Arduino IDE), the ATmega32U4 comes preburned with a bootloader that allows you to upload any new code that is applicable to Arduino Leonardo. 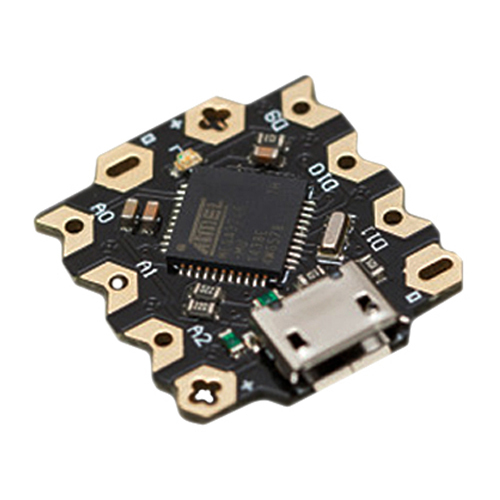 As the smallest Arduino Leonardo, it enjoys similar powerful functionalities. Beetle aims to solve problems of low-cost controller, ease-of-using properly, and to provide a low cost solution for disposable projects, such as DIY projects, workshops, gift projects, E-Textiles and educational. 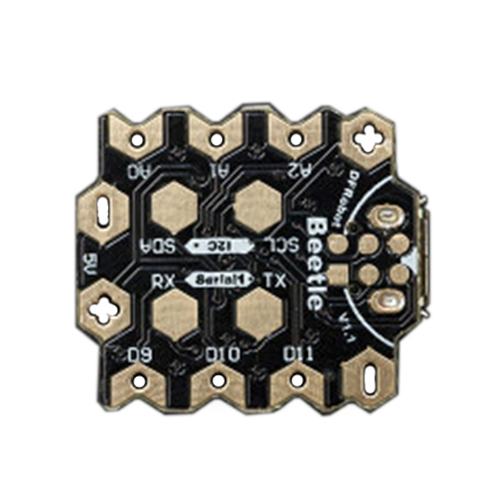 For students and makers who can not afford too much on hardware purchasing, Beetle can be a great solution for them. 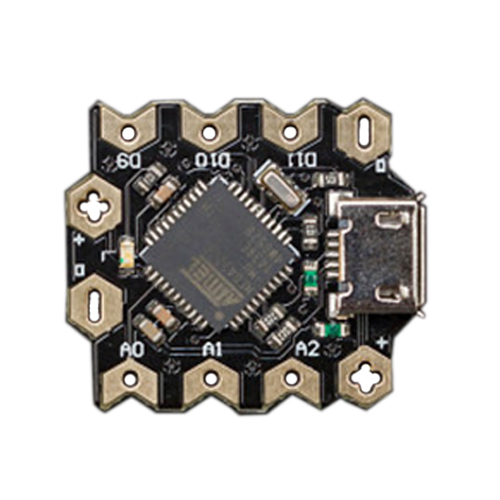 DFRobot Beetle ESP32 Board This Beetle-ESP32 Microcontroller is a simplified version of FireBeetle-ESP32 and specially designed for electronic engineering fans and DIY lovers. It is equipped with 4 a..
Resistor Kit 300 Pieces This Resistors Kit is one of the most basic kit and contain 300 resistors in total. The resistor is rated 1/4W,5% precision and there are 30 different values in total and 10 o..
ESP8266 Pyboard Micro Python This development board is based on the ESP8266, it transmits data through the USB interface. The WiFi communication supports python language, which makes it possible for ..
DHT22 Sensor IC Only - Raw The DHT22 (also known by RHT03) is a low cost humidity and temperature sensor with a single wire digital interface. The sensor is calibrated and doesn’t require extra compo..
LCD Module 16X2 Quick Spec Background Color: White on Blue Viewing Angle: 6H Driving Method : 1/16 duty, 1/5 bias Outline Dimension: 80*36*15.8 MAX Power S..